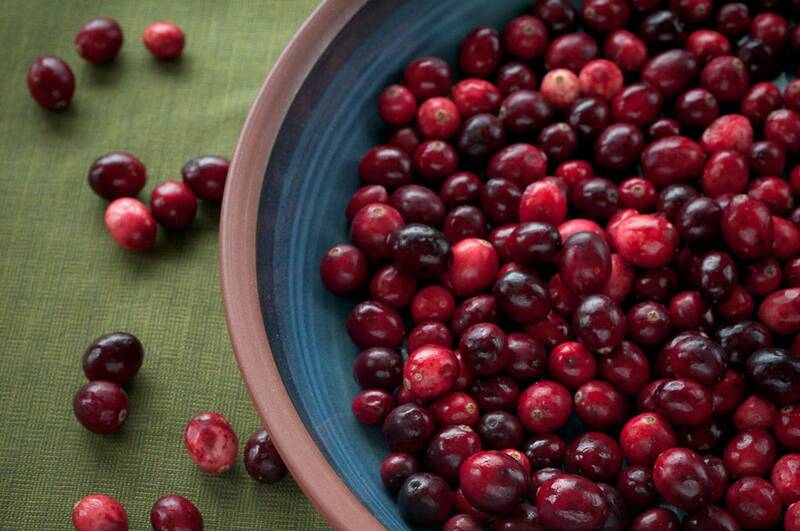 Growing cranberries is not for the faint of heart! Learn what it takes to get them to your table. 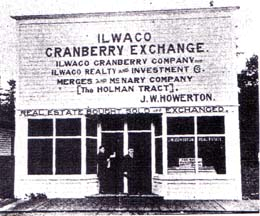 Beginning in 1872, four hopeful entrepreneurs bought 1600 acres of boggy land in Washington's southwest peninsula suitable for cranberry growing. Aside from ships who took on barrels of cranberries to keep the crews from getting scurvy, there was not much market for the tart little berry. 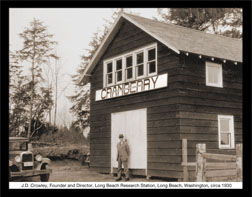 All the cranberry processors were on the East Coast where growers there filled the demand for holiday berries. Invasive weeds and insects continually threatened to over-run the farms. 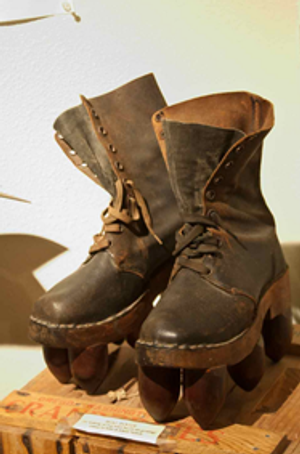 But by the end of WWI, JD Crowley had arrived on the scene. He was the first WSU researcher to tackle crop problems confounding the Washington growers. By sheer tenacity the growers overcame obstacles and slowly a stable cranberry industry grew. Crowley's family still remains in the area raising cranberries. 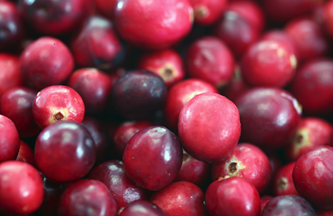 Cranberries are pollinated by bees. 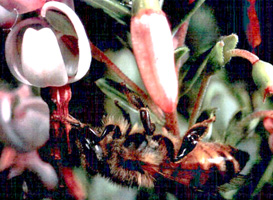 Native bumble bees can do the job if a small farm is near a forest where bumble bees live. For larger farms, commercial beekeepers contract with growers to bring their hives to the bogs. 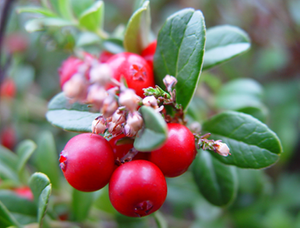 Cranberries are not a favorite food of bees. They produce only small amounts of nectar and do not release their pollen easily. 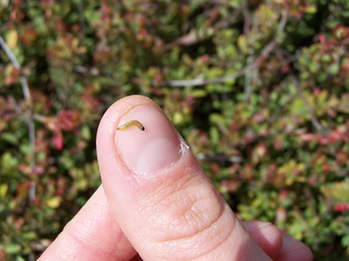 Not all insects in the cranberry bog are helpful. Some attack the vines, eating the tips and destroying this year’s crops along with the potential for a crop the following year. Weeds grow between plants, competing with the vines for water, sunlight and soil nutrients. Weeds are usually pulled by hand. Growers must be inventive if they are going to get the weeds out without trampling the plants. Bringing in the Berries Along Washington's "Cranberry Coast"
It is difficult to harvest cranberries, which ripen for six weeks between September and November. 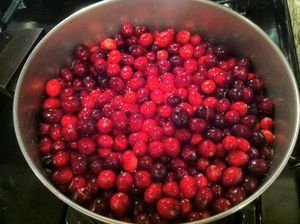 However, because they contain pockets of air, cranberries will float. Some growers flood their bogs, churn the vines and then rake the floating berries together. These berries are destined for the juice market. 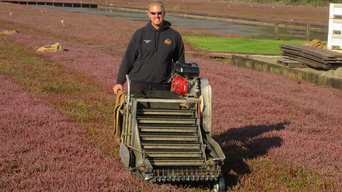 Most cranberries in Washington are harvested dry, using a machine called a Furford Picker invented in Grayland, Washington. Workers walk behind the machine which clips berries and pieces of vine that are later shaken out before being shipped in totes to Ocean Spray. These berries fill the demand for fresh berries. 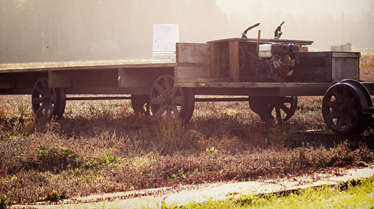 The tight-knit community of growers has faced challenges together for generations. 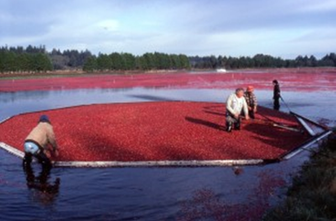 Over 95% of the Washington cranberry crop goes to the Ocean Spray co-op which is made up of member farmers. The Ocean Spray plant in Grays Harbor County is the seventh largest primary employer in the county. 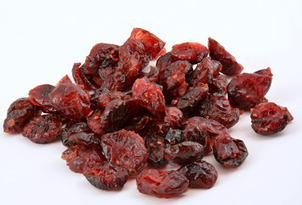 It produces dried cranberries called Craisins®. W orkers employed by the cranberry growers and Ocean Spray support secondary employers in the area such as retail stores and hospitals. The industry contributes to the social, educational and government employment sector as well. 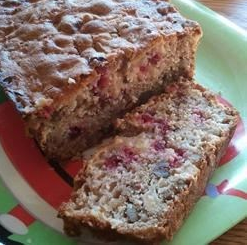 Great Ways to Enjoy Cranberries! 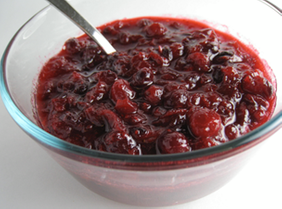 Cranberries contain naturally occurring compounds that have anti-oxidant and anti-microbial properties. They are well known to benefit the urinary tract, but did you know they improve cholesterol, fight cancer and assist with Type 2 Diabetes? Wine made from cranberries is unusual. It is reported to be tangy and slightly sweet.